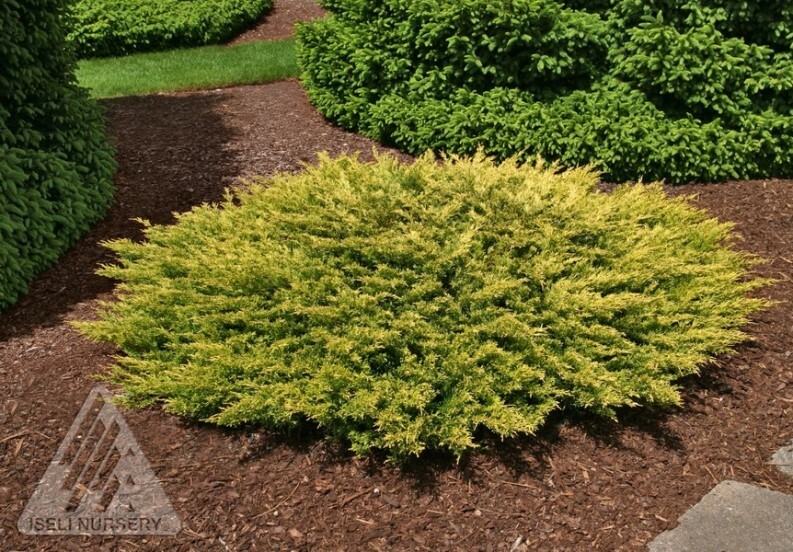 Juniper 'Limeglow' is not your typical juniper! Limeglow™ displays feathery foliage in electric chartreuse, a colour that makes a striking contrast to other greens in the garden. Its spreading, vase form and juvenile foliage lend a cheery presence in almost any garden, including one with hot, dry conditions. 'Limeglow' has been a great performer in our area. Juniper 'Limeglow' is very easy to grow in average well drained soil in full sun to partial sun. Junipers do not like clay soil so amending with compost is necessary to improve the drainage where clay is present. In sandy soils compost will improve the moisture holding capacity of the soil. Be sure to leave enough space for the juniper to spread naturally.